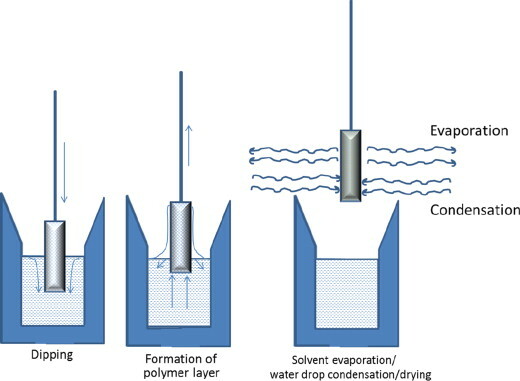 Dip Coating is the precision controlled immersion and withdrawal of a substrate into a reservoir of liquid for the purpose of depositing a thin-film. A device known as a Dip Coater is used in order to employ this technique. At its’ core, this device consist of a computer controlled linear stage in which allows setting the upper and lower substrate resting positions, immersion/withdrawal speed, submersion period. 03/18/2019 — Giving that a Dip Coater is just a vertically mounted linear stage with a sample holder, we have been actively working to develop our own model over the years. However, the challenge has always been finding a precision linear stage that works with our controller, and doesn’t cost over a thousand dollars. Several prototypes later, and lots of design changes, we now are one step closer to a production model, the DCK-300. The DCK-300 will be largely based on components from our SCK-300 Spin Coater kits and 3D printer components. Stay tuned for further updates.